When you’re stranded on the side of the road with a vehicle that’s not in roadworthy condition, call Superior Towing for rapid roadside assistance, towing and more! We’re equipped to tow cars, vans, trucks, motorcycles, SUVS, semi-trucks, long-haul trucks and more. We also offer wrecker services and accident vehicle recovery services. Don’t get stranded on the road. Call us today! When auto troubles leave you stalled on the side of the road, it’s important to be able to trust towing companies in Greeley, CO to come to you quickly, to assist you in resolving the situation. Whether you need simple roadside services or your vehicle needs a tow to an auto body shop, trust that Superior Towing is here to help! We’re the foremost authority on all things pertaining to towing in Greeley, CO and have a long history of providing optimal service to drivers throughout Northeastern Colorado! Our mission is to deliver fast, affordable, encompassing services to drivers in need, and we strive to live up to this expectation each and every time we hit the road. 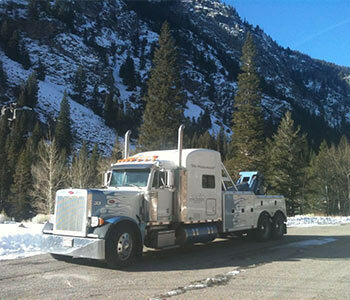 We’re members of the Towing & Recovery Professionals of Colorado (TRPC). We’re WreckMaster certified vehicle recovery experts. We can tow just about any vehicle, including heavy-duty trucks and motorcycles! We are apportioned to provide towing services within the 48 contiguous states. We’re available 24-hours a day, 7 days a week! "I was stranded and pretty shook up when my Superior tow truck driver swooped in to save the day. Car was safely loaded and we were off to t..."
September 26, 2018 Jen M.
"Super nice employees and very helpful"
April 24, 2018 Traci B. "I had one of the BEST customer service experiences ever with Superior Towing! The dispatcher was just awesome, went out of his way to accomm..."
"Used a few times. Very competitive pricing, and Bridget has always been knowledgeable and timely, while being a delight and seems to enjoy h..."
March 27, 2018 Roy R.
"Bridget was the best tow truck operators I've ever met. Curtious and very knowlegable thank you superior towing"